The worst part about being with other people is deciding where to eat. It often feels more practical to forgo human companionship and simply feast on Frosties and fries until sleep comes. But there's now an even more practical option. 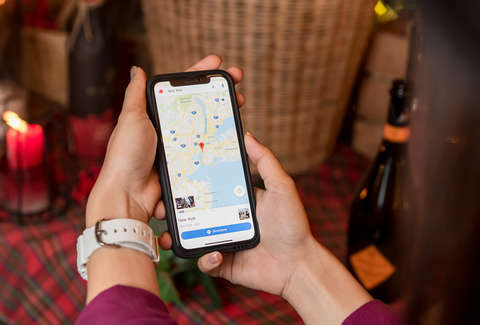 As of Wednesday, you'll be able to poll your friends on a shortlist of restaurants you've selected within Google Maps. This means no more handwringing in the group chat. It means a more democratic future. It means it's safe to have friends again. The feature will also apply to other places, like you could decide which antique store to check out, but the greatest impact will no doubt be the saved relationships between hangry friends and lovers. To use it, you just save the location to a new list and share that with your friends. Your friends will then see their options, overthink the decision, and vote via a thumbs-up or a thumbs-down. They can also add their own suggestions (or remove yours). It's highly unlikely, however, that their recommendations will be as apt, surprising, and chic as yours. So, get out there and start a poll, then decide to do something else at the last minute anyway.